Don’t you just love it when a plan comes together? Well, actually, this is the story of a plan that didn’t come together. But then, from that, a lovely little accidental strawberry delight was created. This is how we came to produce our little Turkish breakfast sweet treat, puff pastry strawberry tart. Or, to give it a Turkish name, çilekli milföy tatlısı. 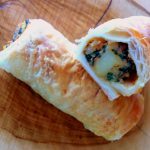 You might remember, for our last recipe, we were playing around with puff pastry and we came up with savoury potato and spinach rolls. Well, the puff pastry experiments didn’t stop there and poor Barry had constant heartburn, reminiscent of our pastry exploits in Eskişehir a few years back. And then strawberry season kicked in and the local Fethiye strawberries were flying from the stalls of the Tuesday market. Munching strawberry sandwiches, enjoying them just as they are, eating them for breakfast and then…hmm, I wonder if we can come up with a strawberry puff pastry recipe. We looked online, and, of course, oodles of ideas popped up. We don’t often go for the sweet option because we’ve not got a sweet tooth, but, in for a penny, in for a pound and all that. I dutifully followed the recipe. So confident was I that we were going to enjoy it, I even did extra puff pastry discs for it. And then we tried one – and we didn’t like it. So now, there we were with puff pastry discs all over the work surface and a tray of strawberries in the fridge. The problem was, the puff pastry was already sweetened so we couldn’t even go savoury with them. That was when a little kitchen epiphany occurred! And so our alternative strawberry puff pastry recipe was born. 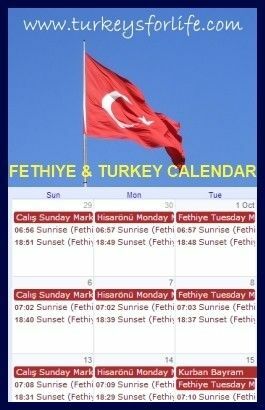 It’s a celebration of Fethiye; local strawberries, local honey and locally made, thick, creamy Turkish yoghurt. Although Annie from the blog, Back To Bodrum, assures us we would find puff pastry very easy to make ourselves, we’re still using frozen sheets of milföy böreği. One step at a time. Anyway, there’s the back story to this little creation. 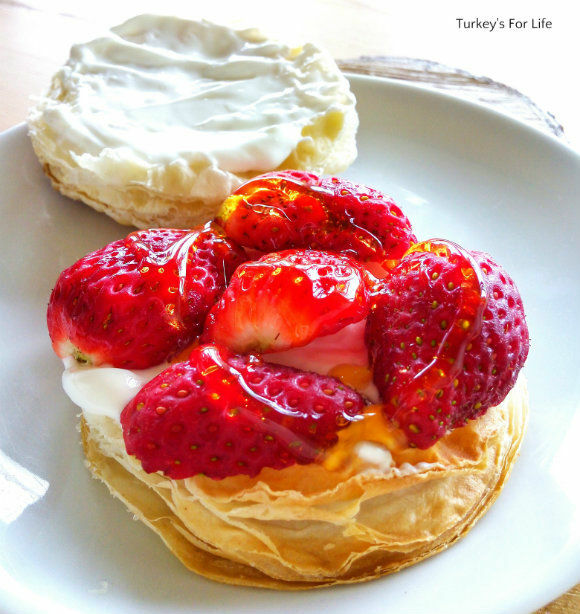 Let’s get on and make our puff pastry strawberry tart – cilekli milföy tatlısı. 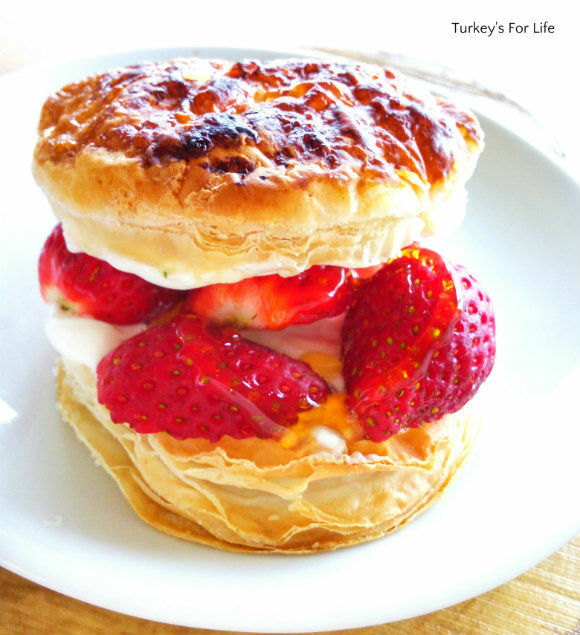 A light seasonal strawberry puff pastry recipe that can be eaten at breakfast or as a dessert. Tasty and easy to make. Thaw your puff pastry and cut one disc from each square using a pastry cutter. Brush each pastry circle with a little milk and light sprinkle with caster sugar. Preheat your oven to the recommended temperature on your pastry cooking instructions. Place each pastry circle on the tray, leaving a few centimetres gap between each one. Bake in the centre of the oven until the pastry is puffed and golden. Meanwhile, wash and slice your strawberries. Now take each pastry and carefully slice through the middle. Liberally spread yoghurt on the bottom slice and then top with strawberries. Now drizzle honey over the top of the strawberries. Take your pastry 'lid' and spread yoghurt liberally on the underside. Place it on top of the starwberries and honey. Now you can enjoy your puff pastry strawberry tart. As with all of our recipe, calories are meant as a rough guide. Your brand of pastry and the amount of ingredients you choose to add to each puff pastry strawberry tart will determine the exact amount. If you are using a fan oven, be sure to choose a lower temperature than is recommended on your puff pastry. The brand we use suggest 220 degrees but we bake ours at 180 degrees. You can add as much yoghurt, honey and strawberry as you want to your tarts and even stack them higher with more layers. And it’s that easy. As we’ve said in the recipe, if you want to get downright messy, you can easily add more yoghurt and strawberries. You could even make a tower and stack another layer on top so that you have three discs of puff pastry and extra strawberry indulgence. Quite how you’d go about eating that… We’re keeping it simple though. Take a look at more of our recipes if you want to cook Turkish dishes at home. This strawberry puff pastry recipe is in both the Breakfast and the Desserts categories. It’s Strawberry Season In Fethiye! How Do You Eat Yours? Breakfast??? Well I suppose you run a lot so you have an excuse.